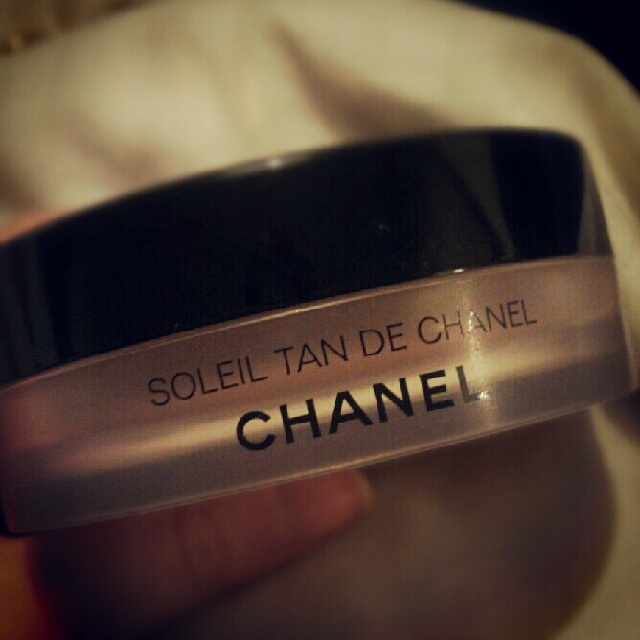 This is my favorite product...ever! I fake tan often but because of moisturizers and cleansers it doesn't seem to stick to my face. I use this product to help match my face and body. 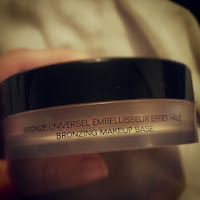 This bronzer is a odd consistency, similar to a cream blusher like Topshops but firmer. I use a powder type brush to apply it (currently an inexpensive cosmopolitan one as it needs cleaned regularly anyway or it is poor). 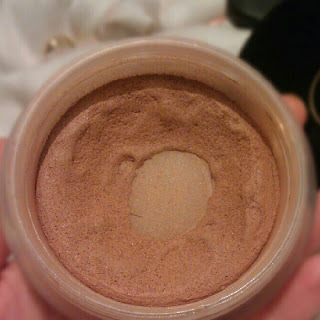 It blends seamlessly, stays all day (when set lightly with powder) and can be worn alone, over or under foundation. 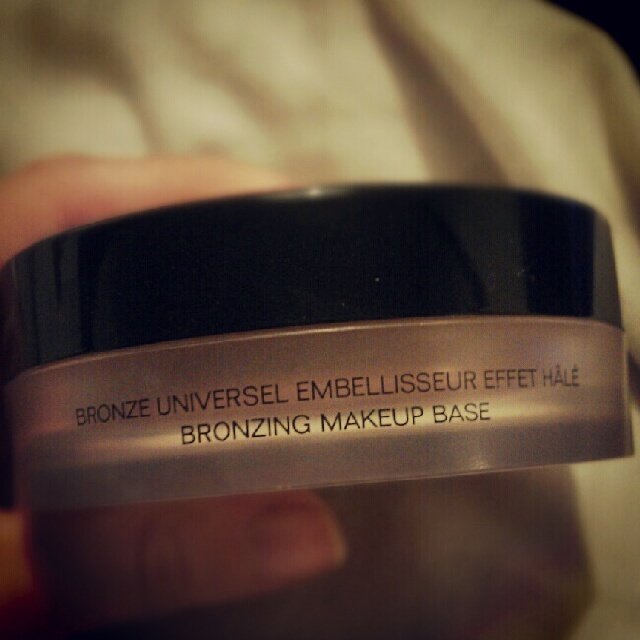 Admittedly it does take a few tries to get right as I've personally not came across any product similar to this. My skin is dry and I keep it well moisturised, how this product would fair on oily skin I'm unsure. I'd definitely recommend asking for a sample. Being Chanel this isn't the cheapest product - it retails in Debenhams for around £30, but this is my third tub and I've used this product nearly everyday for the last 2 1/2 years. This particular tub was purchased around November 2011 and you can see I still have the majority left. As this is a cream/gel product brush hairs do get caught in this but it doesn't affect the product and as long as you're using clean brushes, sanitary wise, this shouldn't be a problem what-so-ever. 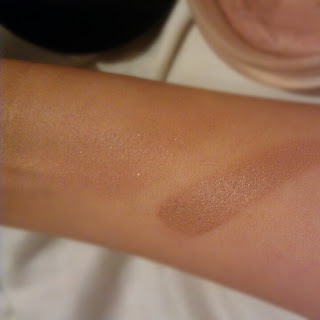 Here is a quick swatch. On the left rubbed in and on the right a swipe just applied with a finger. Another thing is there is only one shade. 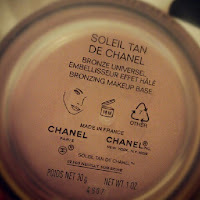 I think Chanel are really missing a trick by only having the one. 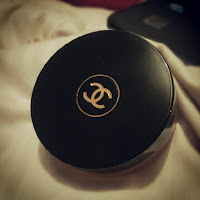 For me this is a 10/10 product and the only Chanel product I've been wowed by, I love it!